So you’ve got some old furniture from the 1970s that you want to trash, but it seems easier to just pretend it’s not there. What makes matters worse, it’s big, bulky, stinky and a major eyesore. Don’t settle for keeping something you don’t want and are tired of looking at (and smelling). 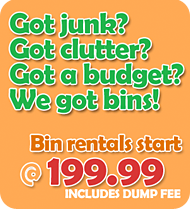 Hire our junk removal team to haul your old furniture away for a reasonable price. Let Student Works Disposal take care of your toughest furniture removal needs. We’ll haul even the largest, heaviest furniture out of your home or office, load it onto our trucks and ensure that it gets recycled or can be put to some other good use. Calling Student Works Disposal to take care of your furniture removal just might be the easiest decision you’ll ever make. Couch removal, bookcase removal, easy chair removal, bed frame and mattress removal are all part of our services. We recycle furniture whenever possible. Why is furniture recycling helpful? Here’s some reasons why we recycle. Let us help you recycle too! Your trash could become someone else’s treasure. 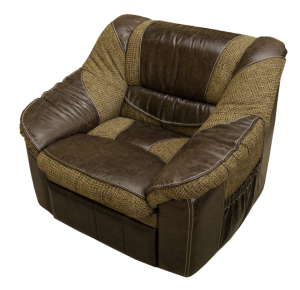 Maybe your old green recliner doesn’t match your style anymore, but it still a functional piece of furniture. Thousands of low-income Canadians can benefit from receiving furniture donations or being able to buy used furniture from local thrift stores at a reduced price. By throwing out old furniture you are contributing more junk to the ever growing mountains of trash in Canadian landfills. Every year Americans throw out approximately 3 million tons of old furniture and office furniture. Statistics estimate that almost 9 million tons of furniture end up in U.S. landfills every year. Wooden furniture and wood parts of furniture can be recycled and turned into other wood products. Recycling wooden furniture saves trees and is good for the environment. Eco-friendly furniture made from recycled wood can be manufactured and sold at a more affordable price. Every minute, 100 acres of rainforests are being cut down in order to meet consumers needs. Recycling reduces the need for so many trees to be cut down. Repurposing is a hobby. Someone may be able to turn your old furniture into a new creation for their home.